Thank you to all who entered the Money Wi$e blog contest. 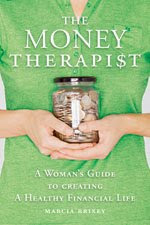 I loved reading all of your in depth money saving tips, tricks and resources. Check out the post and read all of the fabulous money saving tips here, if you haven’t already. 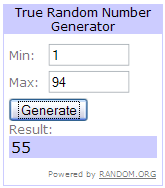 Random.org picked a number between 1 and 94: Comment number 55 was the big winner! Woo hoo! Congratulations, Megan (From Metropolis Soap Co.) and thanks for your money saving tip! Email me at info(at)brambleberry(dot)com with your shipping address and I’ll get The Money Therapist out the door! Next Post: Pedal to the Metal, the Hamster is Driving! Congrats to Megan (From Metropolis Soap Co.)!!!! !